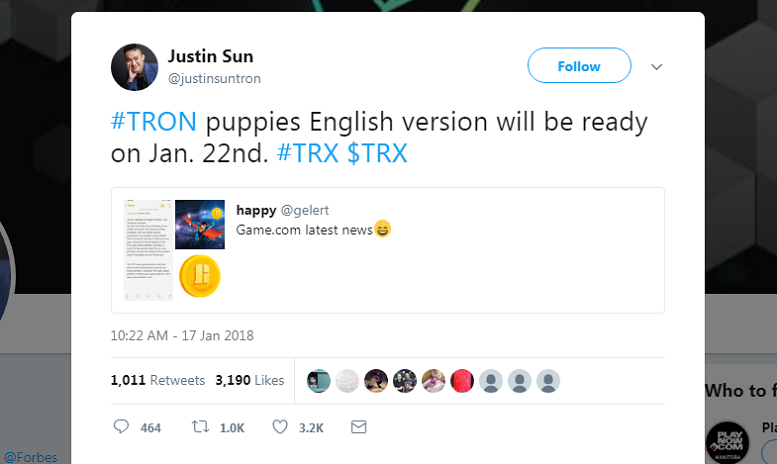 Justin Sun, the founder of Tron (TRX), just announced that his game “Tron Dogs” will be releasing an English version next Monday. 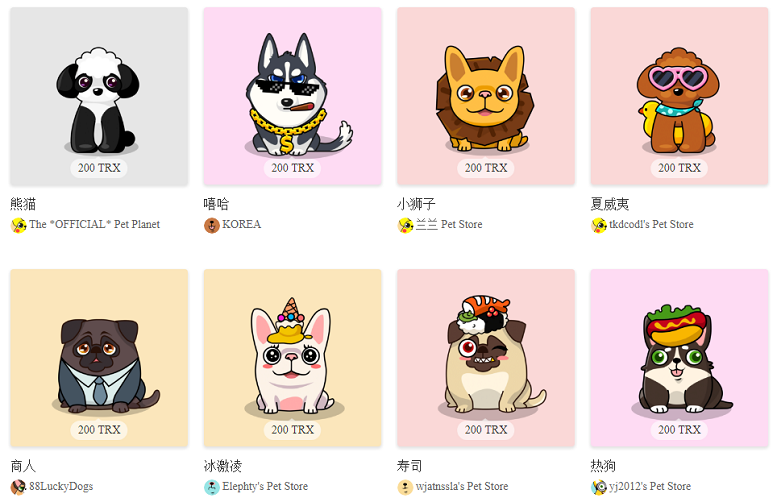 As first reported, Tron Dogs is similar to that of the late Ethereum based Cryptokitties game in which players are able to purchase pets with cryptocurrency and breed them with other users pets. Each dog or cat has different characteristics but Tron Dogs differences have to do with what they are wearing. Currently, some users have been using the Chinese version and just use the google translate plugin installed in their browser. The English, Korean, and Japanese versions of the game are set to launch on January 22nd. On January 29th, pet collections, breeding and event systems will become available and on February 8th, the mobile version is anticipated to roll out. As the Chinese new year is set to launch in just under a month, the game should take off next Monday as it will be able to be fully read worldwide. 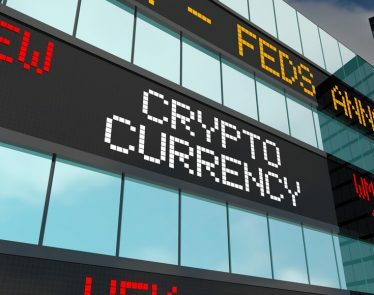 It has been a rough week for cryptocurrency, as many have fallen more than 50% within the last few 48 hours. However, many are still in the red but it seems Tron has taken a turn upwards. 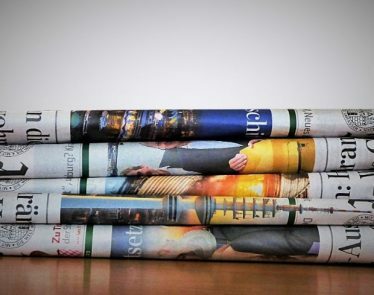 At press time, Tron is selling at $0.08 a coin, up 56.68% in 24 hours. 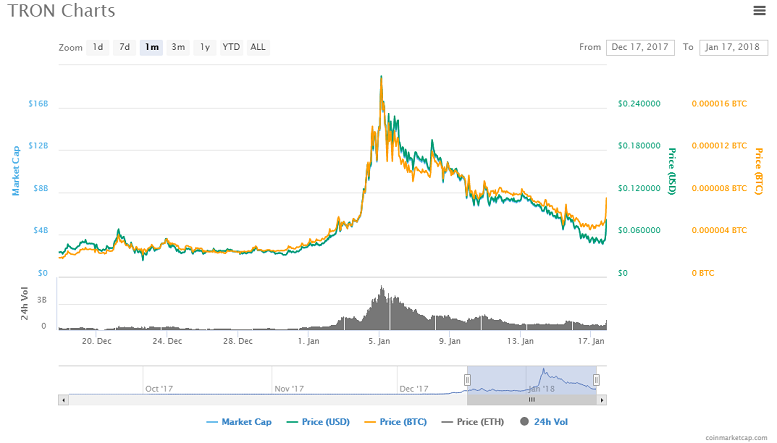 However, as you can tell per the chart above, the coin is down -27.2% for the week but up 166% for the month. 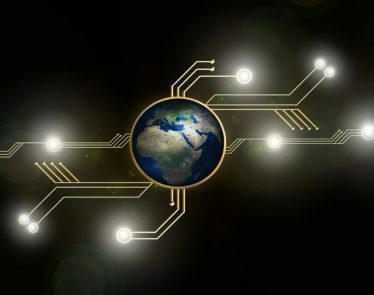 It is unclear what stems from the current surge of the cryptocurrency but my guess is that Justin Sun’s latest tweet has a lot to do with it. 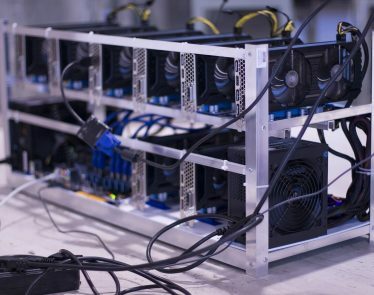 Games seem to have newly broken into the cryptocurrency market, as another Ethereum based game “World of Ether” just launched its egg sales. The game is similar to that of Pokemon, where each monster has its own type and advantages. 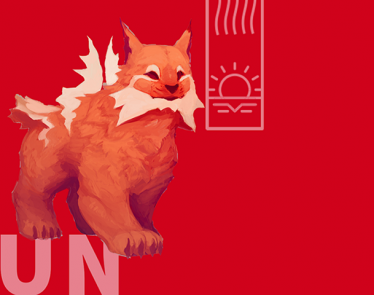 Unlike Tron Dogs and cryptokitties, World of Ether provides depth as you are able to battle your monsters and interact with the game much more. The full launch of the game is anticipated for Q1 2018 but an official date, is unknown. 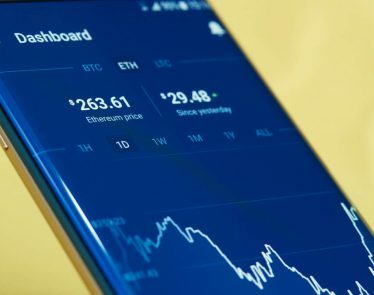 Currently, 1338 eggs have already been sold on their website in under a week’s time and the price of one egg currently, is .46 ETH.